In case the UK takes part in a European Election on 23 May, the South East Green Party are selecting their candidates. Isle of Wight’s Vix Lowthion is in the running for one of the ten places. 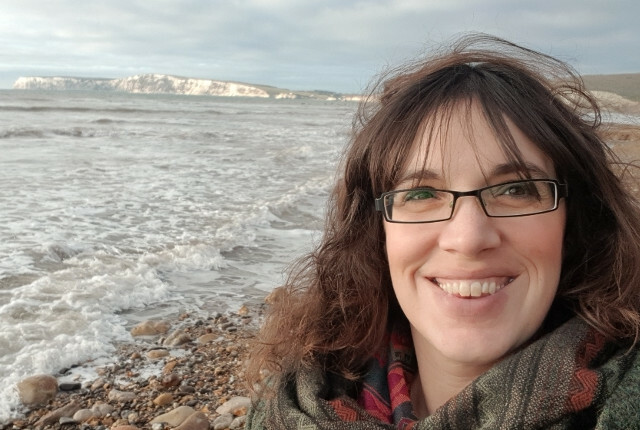 Isle of Wight Green Party’s parliamentary candidate, Vix Lowthion is now in the running for selection of the South East Green Party’ MEP candidates. The South East Green Party Website reveals the names of 22 candidates hoping to be selected for one of the ten places, should the UK take part in European elections on 23rd May. Green Party members in SE England will be receiving electronic or postal ballots to rank people in an STV ballot. A series of online hustings (five) will take place over the next week or so. We’ll keep you updated. As well as being the Isle of Wight Green party’s parliamentary candidate, Vix Lowthion, has also been the national party’s Education Spokesperson since 2016. She lives on the Isle of Wight with her three sons and teaches at the Island Innovation IV Form campus in Newport. Our challenges of the future – economic disadvantage, political extremism, social inequality and the crisis of climate change – can only be tackled effectively on a global and continental basis. We have no time to waste. The EU is not perfect, but it provides opportunities for beneficial and lasting solutions: I would relish being a part of it as a Green MEP for the South East of England. 13 Comments on "Isle of Wight Green Party candidate shortlisted for MEP election"
A petition to revoke Article 50 is going bonkers today! 2,668,994 at 0904 – that’s 200,000 in the last 15 minutes! Looks like we are leaving on May 22nd according to Brussels. They don’t want us voting!